Miss Murphy’s ‘show’ multiples employ the conventions of agricultural, political and sporting events to celebrate unrecognised artistic achievements and failures. 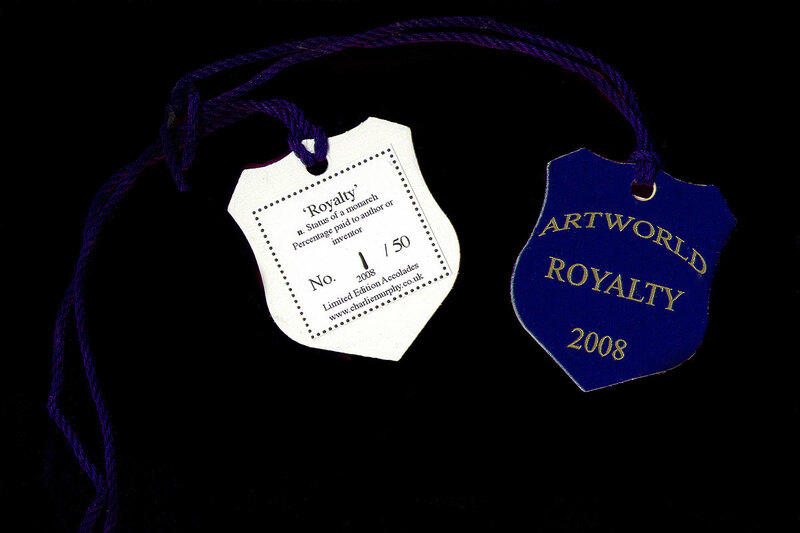 Featured in Tate Modern’s Artist Products (2006) series, these works are developed in response to a variety of contexts and private commissions; from the Art Car Boot Fair to live performances, artist publications (FashNRiot) and exhibitions. You can commission your own unique rosettes or sashes to celebrate any chosen success or failure for as little as £50!